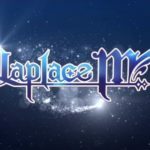 Still going strong in the mobile gaming world, Laplace M has definitely proven to capture its niche in the market of RPG players with all that it has to offer. 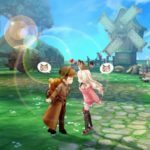 Considering the plethora of competing games to become a staple lifestyle game for fans of the genre, Laplace M’s game mechanics, including the fun gacha and grind systems, as well as the intricate level of character development and customization has left a lot of players astounded by what Laplace M currently has and what it still can offer. Joining in on earlier servers now may mean being around a lot of other players who may have gone beyond class promotion and potentially on their way towards reaching the current level cap of 59, so if you just started playing the game or planning on doing so, you may want to consider the newer servers unless you have friends on the earlier ones. Likewise, be sure to check our numerous guides to help you out on a variety of topics and aspects of the game that you might find a little challenging to grasp in-game on your own. What we will be focusing on in this particular Laplace M guide concerns class promotions which primarily requires you to reach level 50 in the game. For starters, you should read through our Laplace M beginner’s guide first to have a better understanding of basic mechanics as well as give you ideas on how to boost levelling up and increase your Battle Rating. Once you secure a good grasp of the game’s mechanics, you may want to visit our guide for managing your farm as well as a separate guide on how to catch guardians as these will also help you in advancing your game as well as make your character stronger directly or otherwise. 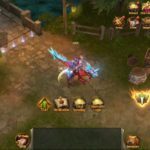 Beyond the beginner’s guide, we have an advanced guide which digs deeper into additional ways and means of boosting your BR growth. We also have a Truesight Eye guide for the locations of all hidden treasures you can find in the game. Lastly, and more relevant to our topic at hand, take time to read through our class guide as well as our character skills and limited event guides which can give you some ideas on how to develop your characters and help you decide on the class you would want to focus on in Laplace M. Once you are okay with all these topics, you can now focus on taking on the challenges surrounding class promotions and delve into what’s in store for you once you accomplish it. The Quests leading to how to actually change your class in Laplace becomes available at level 50 but up to the time it’s actually within your grasp, you may still have a bit of trouble deciding on which class you will promote your character to. For some players, reaching level 50 may be the easiest part and knowing that there are no back steps to choose a promotion class again once you have decided should push you to really give it a lot of thought beforehand. Each of the 4 basic classes in Laplace M can be promoted to 2 very distinct classes. The idea is to figure out the best one that suits you as you play the game up until level 50. Each of the basic classes can be built differently but the major distinction lies in what you want to build them for. If the entirety of the basic class gameplay is not enough to give you a solid idea, then you should spend a bit of time in the Promotion section of the Kingdom which becomes unlocked once you reach level 48, and test each available promotion class out. There really isn’t much to see during each test as you will only be equipped with 2 basic skills unique to each class. Just the same, these skills ought to spell out huge differences in terms of the kind of character builds each promotion class represents. Once you hit the level 50 mark, you will need to earn more skill points to have a total of 50 before you can move forward with the class promotion quest as well as the succeeding main story quests. As you can never go beyond level 50 and earn additional skill points naturally, all skill points you acquire will come from redeeming them. Just to refresh your memory in case you forgot or is still unaware on how to, you can click on the redeem button at the skills menu and acquire additional skill points at the cost of earned experience points. Naturally, each skill point redeem cost grows higher than the previous one. It shouldn’t take that long to earn tons of experience following the daily events you can engage in and should just be a day or two to have enough experience points to redeem additional skill points and have a total of 50 to push forward. Remember that a lot of the activities and quests available for solo play can earn you more experience points faster if you work with a team, so if at this point you are still playing all on your own, then you should probably make an effort to round up regular playing buddies that you can regularly quest with. It might bother you that when unnoticed, the experience bar at the bottom of your screen may show that it’s full at some point. As it goes, you can continue to earn experience points continuously beyond what the experience bar shows and no experience points will go to waste. Although you only need to redeem enough skill points to have a total of 50, you can very much go beyond that and even redeem additional skill points for as long as you have the needed points and silverstar to redeem additional skill points. The last and potentially the most challenging stage on your quest towards class promotion is completing the Cloud Temple Quest. 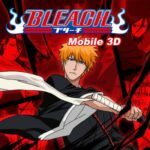 As soon as you accumulated a total of 50 skill points, the quest will become available and would recommend for you to form a team before proceeding for good reasons. On your own, it will be a huge challenge to actually accomplish the quest as the hordes of enemies will be difficult to beat on your own, regardless of your class and build unless you have a highly formidable set of gears and cards. As it may be difficult to gather other players to join you in this quest, especially if your friends are not yet level 50, you can opt to create a team and hire mercenaries for the duration of the quest. If you haven’t tried hiring mercenaries yet, you can simply click on the “team” tab just next to quest on the left side of your screen. Click on “Create Team” and make sure to choose free team up on the objective selection. Finally, put a check mark on the Recruit Merc tick box at the bottom right of the dialogue box before clicking on the “Create Team” button and random NPC characters will be recruited to fill in the empty team member slots. Take note that you can take as much time you need to complete the quest and continue to work on earning experience points following your usual routine of daily quests and time-limited events. You can even continue to redeem skill points beyond having 50 and rack up even more extra experience points along the way. It’s possible to skip through some levels beyond 50 if it took you long to complete promotion-related quests and change classes. It’s mostly clicks and animation at this point up until you reach the part within the Yggdrasil Tree where you finally choose your promotion class. Walk along the glowing roots and check each of the rotating class emblems. Hopefully, at this point in the game you have finally and fully decided on your next class. Once you have decided, simply walk to the correct emblem and choose the affirmative answer. This is the point of no return and once you click on the affirmative choice, you will be shifted back to the regular map with your character now sporting a new class. As the free resetting and re-allocation of your skill points continue to become available once you have reached the next class, you may want to reshuffle those points to allocate some on your newfound skills. While some skills have minimum level requirements to be activated, some will be immediately available. The viability of doing this is especially important in cases where you are forced to spend away extra skill points on some items in either the initial class or general tab just because there weren’t more choices available to allocate them to. Of the 50 total skill points you needed to amass following the requirements of proceeding with the class change quest, you only need to spend 40 of these points on either initial class or general masteries to be able to freely use the remaining 10 points on all three skill tabs. Make sure to try the new class abilities as these may help you further in the succeeding quests and battles. Though some advanced class skills may still be locked at this point and that some are even beyond the present level cap of 59, take time to read through the skill descriptions available to you and plan ahead. Although the skill limit following redeems may still be unknown at this point, it would still be a great idea to work on a plan following a finite number of skill points and the high possibility of not being able to max out all skills and abilities. Also, take note that each new class has advanced versions of an initial class skill and you can only equip either the normal or enhanced version. As such, be sure to consider only the enhanced version prior to redistributing those skills. Like locked skills due to minimum character level requirements, some advanced class skills are likewise limited by character level and you may still need to reach new levels to fully maximize some of the skills that you have already unlocked. The higher your character’s level the more possible combinations you can come up with more skills to choose from. As much of a character’s performance will still depend on overall stats, as well as the quality of equipment and cards you have, it’s hard to say that a perfect build exists. On top your unique BR, each player has unique preferences and play style and in addition to planning and testing, your time and dedication committed to testing skill combinations out will be your very own key to discover the perfect build for your character. Between the time you reached level 50 and the time you finally changed to your promotion class it is very much possible to acquire some pieces of equipment that you won’t be able to use on your first class as it requires and advanced class to be equipped. These pieces of equipment won’t be discarded whenever you choose to eliminate excess gears from your bag as these may potentially raise your BR. As such, be sure to check your bag for these after promotion and equip ones that will boost your character’s power. Now that you have finally reached the advanced class, you are steps closer to finally realizing your character’s full potential. It’s definitely not a one-time instant and massive surge in stats and battle rating but once you reach new levels again, and unlock more skills for the advanced class, you can have a more focused line-up of skills and attributes that compliment your desired character build. We hope that you learned every bit of thing you needed to with regard to class promotions from our guide as this is where we end our Laplace M guide. Hopefully, you were able to read through all our guides prior to this one as there are a lot of things to learn from each one of them. Should there be some related items or details we did not include in this guide that you are aware of, feel free to let us know about it through the comments section below!